December 12, 2018 - When's The Best Time to Sell Your House? Waiting until spring to list your house no longer makes sense. Most listings come to market between April and June, so waiting to list means you'll be met with a ton of competition. Let's get together today to discuss why it makes more sense to list your house now! December 7, 2018 - 51% of Homeowners Love Their Forever Homes...Do You? Studies show that over 50% of homeowners love their homes and have no plans to sell. What's holding you back from finding your forever home? Let's get together so we can find you your dream home today! As a homeowner, there are many things to be thankful for. For example, as home values increase, so does your family's wealth. If you're interested in finding out all the benefits of homeownership, let's get together today! The current lack of existing inventory on the market has forced many homebuyers to begin looking at new construction. Seeing your home built before your eyes is a wonderful experience, but new construction purchases often come with unique hassles. If you're ready to build your next home, let's get together so we can help ensure that your next home-buying experience is hassle-free! November 2, 2018 - Are We Headed Towards Another Housing Bubble? NO! Starting your journey to buy or sell a home can be scary if you aren’t familiar with everything that needs to happen! That’s why you need a trusted advisor to lead you through the whole process. One that will educate you, help you get the best price for your home or make the best offer, and will lead you through the process with confidence! Let's get together today! Just like most other things, natural disasters can impact the housing market and the value of your home. As prices have appreciated, it's important to make sure that you have the proper coverage for your home. Let's get together today to make sure you're properly insured! As home prices have continued to rise across the country, so has home equity. If you're looking to sell your house and move up to your dream home, right now is a great time to use your equity to do so. Let's get together today to go over how much equity you have in your house right now! September 27, 2018 - Is There a Shift Happening in the Real Estate Market? Housing inventory is up year-over-year for the first time in three years which means that home price appreciation will likely begin to slow. If you're looking to buy or sell a home, now is still a great time! Let's get together today to go over what this shift in the market means for you. As home prices continue to appreciate, many potential buyers and sellers aren't sure what it really means for them. It's important to understand, however, that rising prices also means rising equity. If you're wondering what home price appreciation means for you, let's get together to discuss building your wealth today! Have you been thinking about putting your house on the market? What about moving-up to the house of your dreams? With supply and demand continuing to raise prices, now may be the perfect time! Let's get together to discuss why you should list your house for sale this fall! Many buyers are worried about finding a home they like or being able to afford a home as interest rates continue to rise. If you're a potential homebuyer who's on the sidelines because of what you're hearing in the media, let's get together to debunk three of the biggest myths about our current housing market. The price of any item is determined by the supply of that item, as well as the demand for that item in its market. The same is true in real estate. As the inventory of homes available for sale shrinks, and the demand that buyers have for those homes continues to grow, prices increase. Let's get together to discuss the supply and demand of homes in our market! The experts agree that the next economic slowdown is on its way, but that doesn't mean that the housing market will be affected. Let's get together to go over the differences between an economic slowdown and a housing market crash so that you can make the best real estate decisions for you and your family. The latest Rent vs. Buy Report from Trulia shows that homeownership is still cheaper than renting in 98 of the 100 largest metro areas in the United States. If you are one of the many renters out there who would like to evaluate your ability to buy this year, let’s get together to find you your dream home. August 8, 2018 - Is Housing Affordable? There are many misconceptions out there when it comes to qualifying for a home loan. Whether it's down payment or credit, let's get together today so I can walk you through the process. You may be surprised to find out that you already qualify today! July 23, 2018 - Thinking of Selling? Act Now! Buyer demand continues to outpace the supply of homes for sale across the country and it does not appear to be slowing down. If you are debating whether or not to list your house for sale this year, let’s get together to discuss the supply conditions in our neighborhood so that I can assist you in gaining access to the buyers who are ready, willing, and able to buy right now! Saving for a down payment is often the biggest hurdle for homebuyers, but it doesn't have to be! Almost half of all homebuyers are unfamiliar with alternative down payment options (which allow as little at 3% down). Whether you have just started to save for a down payment, or have been saving for years, you may be closer to your dream home than you think! Let’s meet up so I can help you evaluate your ability to buy today. Whether you're selling your home, purchasing your first home, or you're a homeowner who's planning to stay put for a while, there is value in knowing which home renovations will net you the most return on investment (ROI). As home prices continue to rise, a lack of inventory remains a crucial challenge in today's market which has some homeowners trying to sell their homes on their own. What I know is that of all the homes that sold here in our marketplace, over 98% involved a listing agent and a buyers agent. Meaning less than 2% only had a buyers agent or no agent at all and those homes sold anywhere from 6-17% than what they could have gotten had they had a professional agent, like me, marketing the property. Do you really want to leave that amount of money on the table? In today’s market: you need an experienced professional. Just like a good accountant or a good attorney, a good agent will save you money, not cost you money. We can also find preforeclosures, foreclosures, sheriff sales, homes that are not even on the market, homes that have been forced to sell by the courts because of a divorce, homes that have been discounted 5%, 10%, 15%, and sometimes 20%! If you were to climb Mount Everest, would you do so without a sherpa to guide you? I don't think so. The interest rate you pay on your home mortgage has a direct impact on your monthly payment, and it's important to know where rates are headed. Looking at the percentage of income needed to rent a median-priced home today (28.8%) vs. the percentage needed to buy a median-priced home (17.1%), the choice to buy is obvious. Gallup surveyed Americans on their choices for best long-term investments, and reveals the stability of housing as a long-term investment. Living within a budget will not only help you save money for a down payment on a home, but it will help you pay down other debts that might be holding you back. We can learn a lot from a math problem. I know what you are thinking...Dean has flipped his lid. He's reaching back to the retro years of his youth talking about two negatives making a positive. Perhaps you are right?! Amit Abraham said, "It's a mathematical fact that two negatives make a positive so even under adverse circumstances think positively." John C. Maxwell, a NY Times Best Selling Author, wrote in his book, "How Successful People Grow" these things about bad experiences: 1) Everyone has them, 2) No one likes them, 3) Few people make bad experiences positive experiences. I will add a fourth and fifth one: 4) Hardly anyone applies what they learned from the situation to other areas of their life, 5) Rarely does anyone implement a lasting change that minimizes or eliminates the chance for the bad experience to occur again. I added the fourth and one because if you are not applying what you learn to other areas of your life, you could be missing some exponential growth. For example, John C. Maxwell talks about the pains we experience in our lives like the of incompetence. Incompetence is an easily curable pain. If you are incompetent at work, you can study the best people at work, you can benchmark the top people in other careers, you can call them and act like a customer, or you can pay to shadow them during a typical work day, etc.. Now it is time to take what you learned from your incompetence and see if there are other areas of your life where you are incompetent. Perhaps you are overweight and could study other people who are at the top of their fitness, or you could read a book or listen to a podcast about the subject. Perhaps you are incompetent spiritually. You could search out the most zealous people in a particular religion, you could read their religious text, etc.. I added the fifth one because as Edmund Burke said, "Those who don't know history are destined to repeat it." If you are not learning from the past and putting action items in place to ensure that situation never happens again, you are destined to repeat it. We all know people that do the same thing over and over expecting different results. How do you learn from your mistakes? THAN THE CARD THAT IS NOT, SO IS THE CLIENT THAT YOU HAVE DONE BUSINESS WITH VERSUS THE ONE YOU HAVE NOT. A new friend of mine named Robert posted this on his timeline and I fell for the trick not once but twice. Then, I read his comment, "I know the trick. : ) The answer to the mystery is much like life itself. To understand - Don't focus on what is missing... Focus on what is there..."
Most salespeople (myself included) chase after their latest lead. They pay for Google PPC or FB ads and many, I suspect don't even check their ROI to see if they are profiting. They will call the lead once...maybe twice and then chase after the next lead. This vicious cycle continues like a hamster running on a wheel. I suspect this is why only 67% of all homesellers would use the same agent again and a lot less actually do...because the agent has failed to systematically stay in touch. The smart salespeople, as Robert puts it, "focus on what is there..." by having a systematic way of phone calls, voicemails, text messages, client appreciation events and pop by's to keep in touch with their past clients. What is your system of keeping in touch with past clients so that your business keeps growing and growing with people that know, trust and respect you? Zig Ziglar said, "Repetition is the mother of learning, the father of action, which makes it the architect of accomplishment." In his book, "The Ultimate Sales Machine", Chet Holmes tells us, "When designed your training programs, remember that repetition is the key to preprogramming your company or department to run like a machine." I can tell you that I know intimately how different I feel when I have failed to rehearse my scripts and dialogues before I speak to a client. I cannot help lead the conversation along to its rightful termination of a sale unless I have prepared and scripted the entire conversation knowing exactly what to say to get someone to say, "Yes!". Some people have the "gift of the gab" and can get by in almost any situation. For others, this can be quite difficult but knowing what to say in every situation does not have to be as daunting as you may think. Preparing what you are going to say before you have to say it is as important as what you are going to wear to the event. This does not come natural to me. So, if you are like me, you have to practice what you are going to say, what jokes you are going to tell at a party, what significant statement you are going to make to your spouse or child. My cousin Vance does not have this problem...he could talk to a brick wall and it would be as engaged as a 3 year old at story time. How do you prepare for your encounters? THE KING OF YOUR CASTLE! Jesus invested in the lives of others and when it came time for Him to cash in those dividends He was able to do so. Let's apply this to our lives. We all have arguments, right? If you don't you're a liar...plain and simple. I have been making deposits in my relationships with my Queen, Prince and Princess a lot lately. Yesterday, I witnessed an argument between my Queen and my Prince. Because I had been making deposits into both of their lives, I was able to gain their attention and affect a change in their emotional state without being either singled out or brought into the argument. How was I able to do this when this once seemed impossible? Well, it is like an investment account in which you make deposits and it eventually starts paying dividends. You can either cash in those dividends or take advantage of compound interest by reinvesting the dividends back into the mutual fund or stock. I cashed in on my dividends; I was able to cash in on the time that I have been investing in their lives and it immediately quelled the issue. They were both able to hear from each others point of view so that they could reach a mutual understanding. My kingdom has been restored. Henry Ford raised his workers wages in 1914 from $2.50 to $5.00 per day. He felt they were very important assets to the function of Ford. His thought was that by doubling their pay, it would boost their morale and they could now afford the very automobile's they were making which would increase company profits at the same time. This helped him attract the best minds in the automaking business and was the catapult for the industrial revolution that followed for the next 100 years. A couple of years ago there was this big push of raising wages to $15 per hour for McDonald's workers but that fizzled fast after a few months. Another company CEO, Dan Price raised his company, Gravity Payments, employee wages to $70k per year. Rush Limbaugh called him a socialist. He was on every talk show in the country and encouraged other business owners to do the same. His company stock price has gone through the roof and is at 2006 levels finally. It could be that he is benefiting from a rising tide where most stocks have risen since the housing market bubble came crashing down from 2007-2012. Could this be one of the greatest decisions a CEO could make? The actor Sidney Poitier became fearless at a very early age because as he describes, "I had the confidence, because when I was very small, my mother threw me into the ocean and watched without moving as I struggled to survive. She watched as I screamed, yelled, gulped, and flailed in a panic-stricken effort to stay afloat. She watched as I clawed desperately at the water unable to manage for more than a few seconds before starting to sink below the surface. She watched as the ocean swallowed me, second by second. Then mercifully, my father's hands reached under, fished me out, and handed me back to my mother...who threw me back in again and again, until she was convinced that I knew how to swim." It is the classic fight or flight response reaction. He had to fight to survive and therefore did not have time to understand his current situation. All he knew was, he had to react; he had to fight to stay alive. The alternative was to let the ocean swallow him up. This as he recalls gave him great strength to persevere and it can do the same for you. What life-changing experience defines who you are and gives you strength to persevere? The American Dream of homeownership is alive and well. Before you sign another lease, let’s get together to help you better understand all your options. The first furniture store is all about turning and burning baby. They are a transactional type store. They don't worry about building relationships or brand loyalty; they just try to sell anything to whomever walks through the door. The second furniture store is more strategic. Management constantly trains its salespeople to "sell the store". What does it mean to sell the store? Well, they are trained to ask, "First time in our store? Well, let me tell you about it." Then the salesperson will tell all "about the history, the owner's devotion to service, why they have lower prices than their competitors, how well trained they are on furniture construction, and how that benefits the customer. The purpose of this buyer education is to create brand loyalty. Over time, this story builds a large and loyal following of customers who automatically come there first when they are interested in any type of furniture. When you shop for furniture, you probably go to various stores with little to no brand loyalty. Or you may see a sale in the newspaper and go because of the sale. But if you had a relationship with the store that stood behind its product like no other and could thoroughly explain the differences in furniture quality (there's quite a bit to know) and even offers expertise in decorating, you might have an affinity, a loyalty, a preference for that particular story. When you needed furniture, you would go their first because of the relationship that it purposefully built with you. Buyer education paid off handsomely for one of our two furniture stores. Over a four-year period the first store remained a one location store, while the store number two opened six location." It is differentiation that drives the customer's preference. In a world where transaction type selling is king, this could be a way for you to differentiate yourself from your competition. Don't sell the product; sell your company on why the customer should do business with you. There is an art to pricing a home. 95% of real estate agents just use a Comparative/Comparable Market analysis (CMA) when pricing a home. This means that they are using historical data that may not provide you accurate comparable properties to use when pricing your home. Appraisers are in the same boat. They take about 4-5 properties that sold recently within close proximity to your home and have about the same square footage. Appraisers do put in a lot more work in appraising properties and the information is very valuable but it is still based on historical data. It does not take into consideration the condition of the sold properties or the reason why one sold for much less than the others or perhaps one was over improved and sold at a premium. There is a better way to price a home. No matter where you are in the home selling process, there will be other inspection items that cause the buyer to consider doing other inspections that are outside the scope of a normal home inspection. For example, if the HVAC looks a little older, then the home inspector might recommend either the seller show proof of service history for the unit(s) or they may even recommend a licensed HVAC company inspect the unit for leaks/damage. Other inspections a buyer may want to consider are: roof, septic, structural, radon, etc. Radon is worth exploring further because it can pose a significant cancer risk for homeowners. Homes for sale in Franklin, TN for example, typically undergo radon testing during home inspections because the area frequently records high radon levels. In fact, according to RadonResources.com, 40% of all counties in Tennessee have a high potential to have homes tested at above 4 pCi/L. At that level or above, the EPA recommends corrective action be taken to mitigate radon. You'd be surprised how many houses actually have termite tubes, dormant or not. For homes in Franklin TN, the question is not if you will get termites but when. Termites can cause tens of thousands of dollars of damage to a home. If a buyer finds even dormant termite tubes, they will ask for the home to be treated and that will cost you anywhere from $400-$1,500. Having this inspection done prior to you putting your home on the market could prevent this from happening and save you money. Be sure to check several pest control companies and compare products because liquid treatments last longer and provide a longer warranty but they are more expensive. Other companies will use bait traps to direct termites away from the structure of the home. 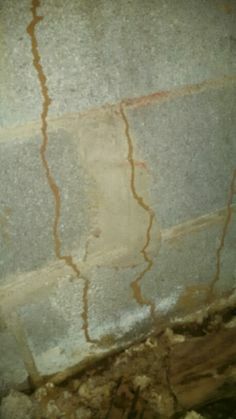 They will usually have to come out and inspect once per quarter to ensure the termites have not moved to the structure. If you can't fix something on your own due to a lack of knowledge, skills, or abilities, then hire a licensed contractor to make repairs. Real Estate agents in Franklin TN are a great source for contractors and if you want the job done right, you should hire a contractor. Also, consider hiring a contractor when you lack the time or would lose money because you are trading your time so that you can save money on repairs. For example, if you make $30/hour and you know that going to go buy the part and installing it will take 3 hours, it will cost you $90 dollars plus the parts. If you can hire someone else that works for $15-$20/hr make the repairs for you, you can leverage your time by making $10-$15/hr more. In other words, spend your time on dollar producing activities rather than making repairs if it is more cost effective for you to do so. Once the job has been completed, to your satisfaction. make sure the contractor gives you a receipt and a warranty for the repairs. This will help you pass on a warranty to the new buyer(s). After viewing the inspection report, you need to make repairs. Just knowing what needs to be repaired is not enough. Buyers looking for homes in Franklin TN are looking for deals. Homes in Franklin TN are more expensive relative to surrounding cities and lowering the price is always on the mind of the buyer. Buyers will drastically inflate the cost of repairs and they will want them repaired by licensed contractors. So, instead of you changing out a hose bib for the price of the materials and a little bit of sweat equity, they will require you to hire a licensed plumber that charges you a trip charge, parts, labor and taxes. Instead, take away their leverage by making the repairs yourself. Many states have disclosure laws, so be sure you disclose any defects and repairs if it is required by your state. Seek legal advice from a real estate attorney or a real estate expert concerning applicable state laws regarding disclosure. Homes in Franklin TN are the same as anywhere in the country when it comes to a home inspection. A home inspection is critical as the first step in the process because a good home inspector can identify all of the deal killers that could cost you thousands of dollars later on during the home inspection period. Studies show that for every $1 you spend in fixing things that must be repaired could cost you $7 when a buyer discovers the problems first. This virtually eliminates the second phase of negotiations during the home inspection period because you have taken away 90% of the buyers negotiating power. An added benefit is that it gives the buyer peace of mind because they do not have to worry that the home may have unexpected major repairs that are needed which may cause the buyer to terminate the contract or worse they may ask you to significantly reduce the sales price. So, above all else, get a HOME INSPECTION to identify potential deal killers first. With all the information a buyer can find online, the buyer is so empowered that they don't believe they need a real estate agent. This could not be any further from the truth. I can't tell you how many buyers I get calls from on our properties that want to deal directly with the real estate agent that is listing the property. Somehow they believe they will get a deal on the property by going directly to the listing agent. Well, unless the listing agent defaults to a facilitator (meaning neither the buyer or seller are represented), she represents the seller. Now you have an agent that knows all the ins and outs of contract negotiation working in the best interest of the seller. Whether you are a buyer or seller, you should be represented or have no representation at all. Otherwise, the buyer is at a distinct disadvantage. Don't let that be you. Make sure you are represented by an agent or have the agent default to a facilitator if one party doesn't have an agent. This levels the playing field for both the buyer and seller and makes for a smoother transaction. HUD properties can be fantastic opportunities for a buyer to get a nice home at less than market price. First, a buyer must use a real estate agent to place a bid on a property for them. So, you can't go directly to the seller or sellers agent to purchase the property. Once your realtor places a bid on a property, you have to wait to see if your property is accepted. If it is accepted, your agent will receive a buyer packet that must be completed and returned within 48 hours. In that packet HUD will provide you a summary of a recent inspection and appraisal as to what they found. They will list major defects for you so that you can inspect the property for any additional major defects. 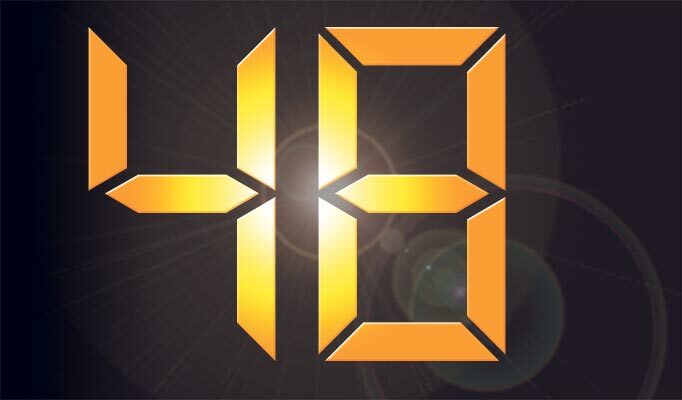 This is the time for your agent to send an experience, licensed contractor to property to check it out and you only have 48 hours. 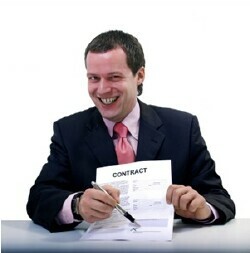 So, you will want to have the contractor lined up for you prior to placing the bid. If you find something major or objectionable during that time, you will just not complete the buyer packet and your offer is terminated. Most agents that have been around for a while set their inspection periods anywhere from 7-14 days. Anything short of this and you may not complete all of your inspections within the alloted time. You have to give the home inspector and termite inspector time to complete all necessary inspections. You also will want time in case the home inspector finds something major wrong with the property. Let's say the home inspector conducts an inspection and the air condition unit was not functioning at the time of inspection. He recommends a licensed HVAC contractor inspect the unit. So, now you have to make calls to an HVAC repair company to try and schedule them to come and inspect the HVAC unit within that inspection period. If it took the agent 5 days to get the home inspector to inspect the house it is going to be almost impossible to get an HVAC repair company to test the unit. The inspection period is such an important time for buyers and their agent. It is the only time before closing that the buyer can discover latent or major defects with the structure, plumbing, electrical, HVAC, etc. It is also the perfect time to discover if the property has termites, dangerous radon gas or mold issues. A good home inspector can discover all of these issues but you will want to hire a termite inspector because most lenders will require a "clear termite letter" in order to issue the loan. Make sure you give yourself adequate time to conduct all necessary inspections. Your buyer will appreciate it. Buyers please remember if you sign a buyer representation agreement with an agent, it is a contract to buy a property using the agent on that agreement. If you go off and buy a property from another agent while you are still liable under that previous buyers representation agreement, you might have to pay double commissions on the buying side as damages! Don't get caught in that mess. If you like your realtor, seal it with a contract and put them to work for you. The other way is just too redundant and very painful to your wallet. 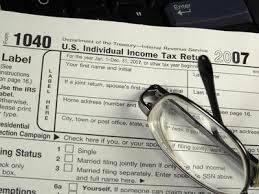 Track Your Expenses: It is important to track your expenses as an agent for tax purposes, billing, and general accounting. When representing an out-of-state seller it is critical to track your expenses because you will likely be performing duties outside your normal duties as a real estate agent. You may be performing duties as a Property Manager, a Contractor, a Facilitator, etc. On one recent transaction I encountered the "Jacked Up Jacuzzi". I received a contract on the home, the buyer conducted a home inspection and during the inspection water streaming out of the tub through various holes, cracks, and crevices. Now, water has to have a place to go and the gravity always has something to do with where it ends up. The tub was on the 3rd floor of the unit, so the water leaked down through the ceiling of the second floor dining room, across and over to the office in the basement. After several trips to the property, $1,800 in clean up, $700 in drywall/paint, and $175 to repair the drain, we lost the buyer. A couple of weeks later we received another buyer and the same thing happened but to a lesser extent. More fixup and repairs were needed but these buyers didn't bolt on us. If you catch water damage and ensure it dries out immediately, fix any drywall and throw on a little paint, there are no long term effects.